Groups booking cancellation policy: free cancellation window of 30 days, 50% payment of cancellation within 15 days. All cancellation within 14 days 100% payment. A deposit of €500 is needed for every 4 rooms. Booking needs to be guaranteed by credit card. 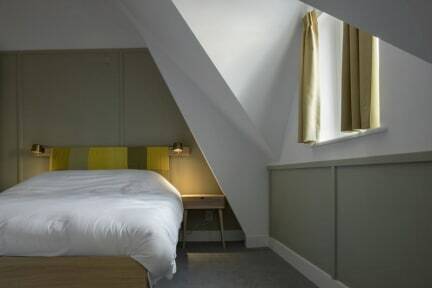 Hotel Light offers homely decorated hotel rooms in a monumental building. We offer a local experience with a new school hotel services. We choose durable products and functional decorated rooms. We offer unique spaces as a work friendly lobby environment, communal shared kitchen space, greenhouse and a shop in house for your groceries or gifts. 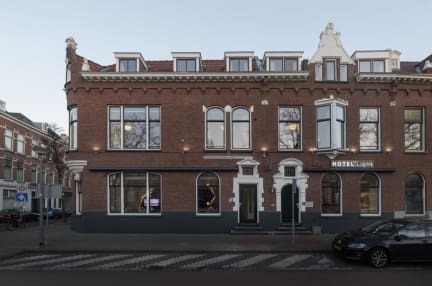 The hotel is located near the Nieuwe Binnenweg. This is a very upcoming area with local boutiques and food places in the heart of Rotterdam. Central station is only a 10 minutes walking journey.